Season tickets for the 2019 Penn State baseball season in Medlar Field at Lubrano Park are now on sale. Flex book and group sales will open Tuesday, Jan. 29, while single-game tickets will go on sale Tuesday, Feb. 5. New for the 2019 season, all Penn State student tickets are free. The Nittany Lions are slated to play 27 home dates (28 games), starting with an eight-game homestand from March 15-26 featuring UMass Lowell (4 games; Mar. 15-17), Minnesota (3 games; Mar. 22-24) and Binghamton (Mar. 26). 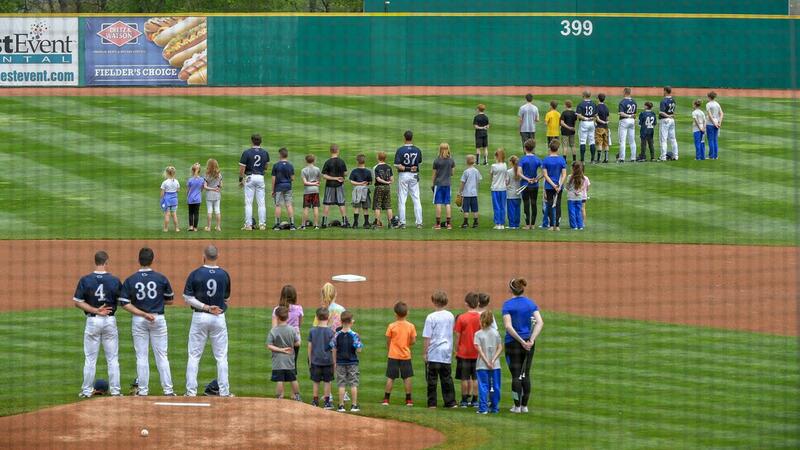 Penn State baseball season tickets remain one of the best values in Happy Valley with adult ($60) and youth ($20) ticket prices remaining the same. Season ticket holders can redeem unused tickets for future dates and thus never lose the value of their full ticket package. Additionally, a Flex Book with 10 undated ticket vouchers is available for $40, while group packages (20 ticket minimum) and suite rentals are also available. Experiences such as a message on the video board, field access and locker room tours are available at higher minimum ticket thresholds and are detailed below. Penn State single-game ticket prices will also remain the same, as adult tickets are $5 and youth tickets are $3. Penn State baseball's hospitality suite is continuing as a $30 add-on option for season ticket holders. The hospitality suite, located along the right field side of the stadium, includes light snacks and food, soft drinks, water and additional beverage options for purchase, while allowing fans to enjoy Penn State baseball and the scenic view of Mount Nittany from the comfort of the indoors. Fans can also add weekend ($15) or single-game ($5) access to their ticket purchases. Tickets are available online by clicking here. Fans can also purchase those tickets by calling the Medlar Field at Lubrano Park ticket office at 814-272-1711. Group tickets and luxury suite rentals are also available for Penn State baseball games. Groups of 20 or more people can buy tickets at a discounted rate of $3.50. Youth group tickets are $2 per ticket. A 20-person suite can be rented for $200. Group packages and suite rentals can be purchased by calling 814-863-3326 or e-mailing Caitlin Hunnicutt at cmh433@psu.edu. All game dates and opponents are subject to change and all ticket purchases are final (no refunds). For more information on Penn State baseball tickets please call 814-272-1711 or e-mail Robert DeLusa at rdelusa@statecollegespikes.com. ^All group experiences are subject to age restrictions due to NCAA Compliance Regulations (no one in grades 9-12 are allowed to participate). Promotional, radio and TV broadcast information will be announced at a later date. Penn State opens the 2019 season Feb. 15-17 against Monmouth at the USA Baseball National Training Complex in Cary, North Carolina. Follow Penn State baseball on Twitter and Instagram at @PennStateBASE and Facebook at /pennstatebaseball for all of the latest news and updates and behind the scenes action.